Michael Vitullo ’s greatest asset is not his experience or his enterprise – It is his commercial approach. 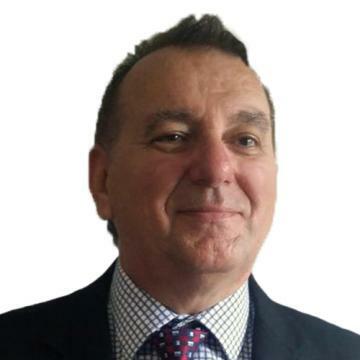 He has provided business advisory services to many small and medium size clients such as importers, wholesalers, retailers, hospitality businesses and professional services. With his knowledge and success in business, he offers genuine opportunities for both sellers and buyers to realise their goals and targets. Michael believes buying and selling business is about trust, professionalism, communication, transparency and the art of creating possibilities. Michael understands the concerns both sellers and buyers face and is conscious of the energy required to achieve the required outcome for all parties. Contact Michael Vitullo to achieve a “win-win” outcome. Ulan Stone Tuff is a unique highly coloured volcanic material suitable for Dimension Stone. Ulan Stone Mine is situated overlooking Ulan Coal Mines and the village of Ulan which is some 40km north of Mudgee NSW The operational quarry has been placed on the market by the retiring directors. Mine Products: Consents, Leases and Licences: Current: Future demand is assured. The extensive rental fleet of 81 motor vehicles includes small/medium size cars, minibuses, 1 tonne vans and utes and 3 tonne pantech trucks are offered for sale at fleet value. Independently owned and operated this rental enterprise has commercial advantages over some of the major rental franchises. Significant information about the business includes: FOR SALE: $400,000 + $1,276,900 (Vehicle Fleet Value) Benchmark Business Sales & Valuations. With depots in Sydney, Brisbane, Cairns, Darwin, Perth, Adelaide and Melbourne, this unique enterprise can offer 4WD rentals right around Australia. The wide-ranging rental fleet of 64 vehicles includes Campervans and 4WD's are offered for sale at fleet value. Independently owned, this rental enterprise has great product offering and experiences that are highly regarded by tourists from all over the world but predominately Germany, Netherlands. and Switzerland. Rashays franchise business for sale in Sydney CBD in New South Wales. Rashays Casual dining franchise. Located in Sydney CBD, this restaurant for sale is a proven money-maker. Location: Sydney CBD Lease: to 31 October 2023. Weekly Sales: over $55,000 (average) Asking Price: $590,000 + stock. A Winning Formula Full liquor licence, including BYO together with seating for 100 indoor and 30 outdoor. FOR SALE: $590,000 + SAV Benchmark Business Sales & Valuations. Key Consideration : Importer & Distributor of Premium: Customer Base : Commercial Kitchen Clearers. ; Duct Work Metal Fabricators. ; Air Conditioner installer. ; Pubs, Taverns, Cafes Restaurants and bakeries. ; Direct Bulk order customers. ; > 100 customer on database - regular bulk orders (weekly, monthly, quartely and annually). ; Price: $90,000 + SAV. An exceptional freehold property and business has arisen to acquire 3 self-contained apartments and 2 shops in the scenic village of Wallerawang, NSW. Supported by the market-leading importer & distributor of an extensive range of motorcycles and power equipment products known for unsurpassed quality & reliability. Here is your opportunity to... Be part of the world’s largest and most successful motorcycle brand... The pull of this highly recognised brand is enormous. Add in that this authorised dealership is a multiple award winner with an outstanding reputation. This is a winning combination that inspires pursuit. Investment Opportunity - multiple sources of income! Prominently located in Main Street, it's only a ten minute walk to the recreational opportunities of Lake Wallace which include fishing, sailing, trout fishing and canoeing. The park also features camping, picnic, barbecue and children's play facilities. Just look at the features this freehold property and business for sale offers: Multiple sources of income: FOR SALE: Freehold Property and Business $695,000.